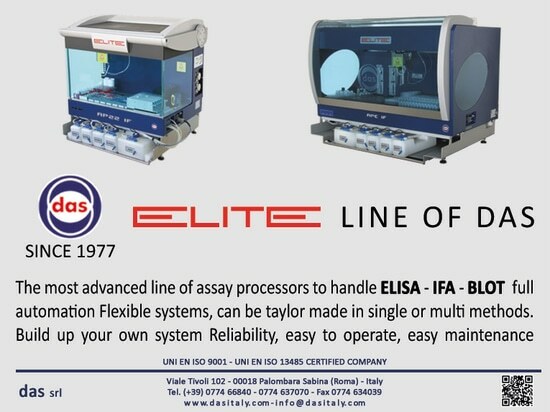 The most advanced line of assay processors to handle ELISA-IFA-BLOT full automation. Flexible systems, can be taylor made in single or multi methods. 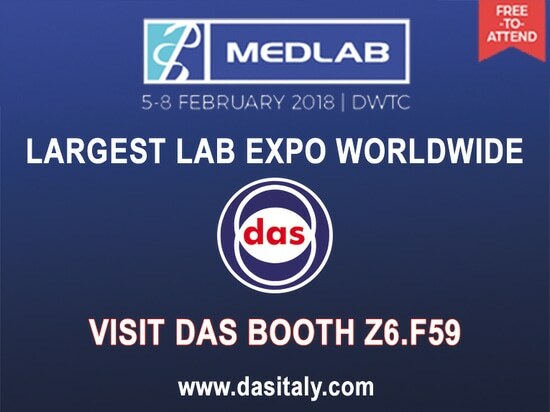 Build up your own system. 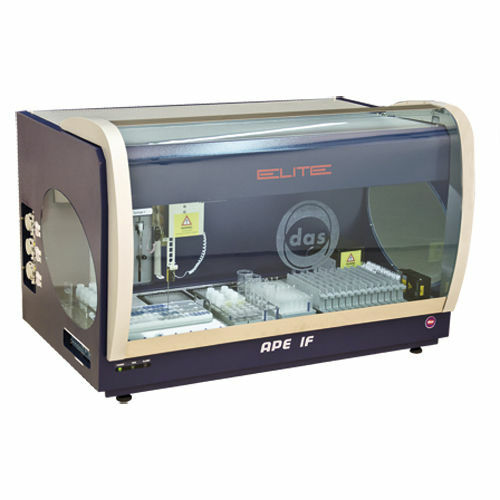 Reliable, easy to operate, easy maintenance. 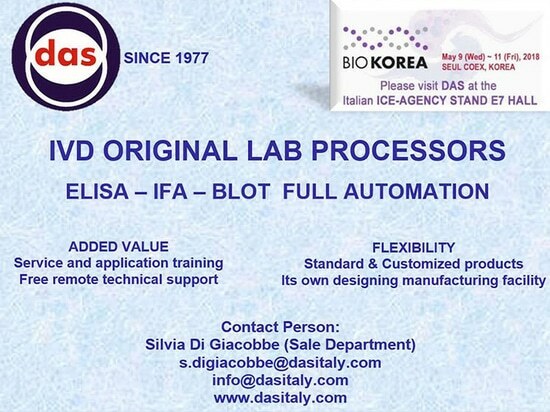 DAS is pleased to inform you that we will be present at the Bio Korea in Seoul. 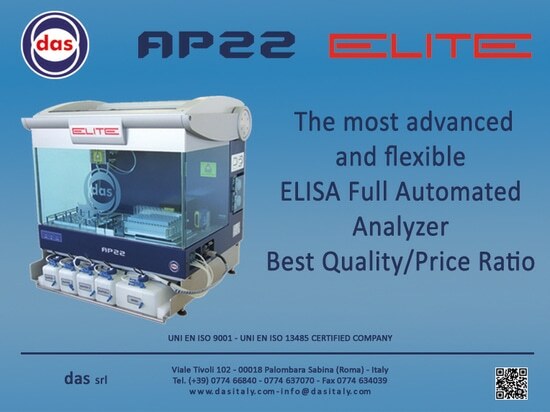 Your visit will be very welcome at the Italian ICE Agency stand in Coex Hall C.
AP22 ELITE is a full automated system for ELISA method. 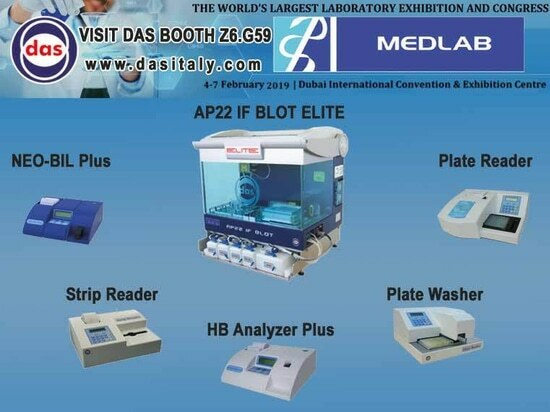 The instrument is able to run 2 ELISA micro-plates with 8 tests on line, with sample pre-dilution, sample and reagent dispense, incubation and washing cycles up to the final ELISA reading and data processing.